Todd Wilson, author of Help! I’m Married to a Homeschooling Mom and The Official Book of Homeschooling Cartoons, is a dad, writer, conference speaker, and former pastor. 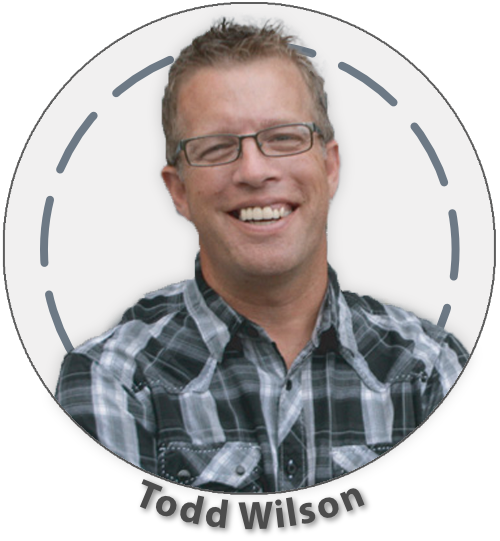 Todd’s humor and gut-honest realness have made him a favorite speaker at homeschool conventions across the country and a guest on Focus on the Family. His articles have appeared in various magazines. Christianity Today also posts his weekly column (The Familyman Weekly) on their website. Todd and his wife Debbie, along with their eight children spend several months of the year traveling the country encouraging moms and dads. His humor, realness, and straight talk to men (& women) have become his trademark. Dads and moms, in all the busyness of life and swell of expert advice, we’ve forgotten the fundamental truths of homeschooling and family. In short, we’ve forgotten why we do what we do. We have plenty of “how tos” but have forgotten the “why tos” and it evidences itself in our lack of joy of homeschooling, family, and parenting. Join funny guy and family man, Todd Wilson, as he sets the stage for a great homeschool convention and the best year ever as he brings us back to the basics of what we believe about family and homeschooling. You’re not going to want to miss this for the world. We like things nice and neat, orderly, with predictable outcomes. Often OUR plans don’t ‘come together’ as hoped. Instead, they fall apart and leave us dumbfounded and stunned. “We did everything THEY said to do.” “We didn’t have TV…we homeschooled…we ate organic…we only wore dresses…we sheltered and protected….we did courtship…they played the violin…we emphasized the classics…we never missed family devotions…we emphasized purity…we birthed our children at home…we had a home business” and on and on the list goes. They feel betrayed, angry, and lost….and their children are starting ‘tell all’ websites!! Years ago when I heard their sob stories I wondered what they had done wrong. I believed they must have gotten the WRONG plan…or didn’t carry the plan out according to instructions. While some of that may be true, I know NOW that sometimes our plans don’t come together because God has a DIFFERENT PLAN. Join me as we take an honest and humorous look at plans, why they fall apart and what to do when they have. For twelve years, you’ve probably felt the tension of “what’s next?” for your children. You hoped the dilemma would solve itself, but it didn’t. There are all sorts of homeschool graduates who are stuck in the “what now zone” or were discouraged from traveling a particular path. Put fears aside, look the cap and gown in the eye, and take an honest look at life after graduation. There is NOT a one-size-fits-all solution and the pressure from family members, peers, and experts can seem dizzying. Should they go to college or try a college alternative, do a gap year, start their own businesses, stay at home, get a job, travel the world…join a monastery??!! Don’t be afraid. God has a plan for your child, and part of that plan is that He’s given them YOU to help guide them into their next phase of life. Join Todd Wilson as he takes a bold and straightforward look at “Life after Graduation.” We’ll look at options, discuss pros and cons, and take FEAR out of graduation…remembering along the way that every child’s path is different. There’s much talk about Christian worldview. Never before have Christian teens received so much training in developing a proper worldview. But something seems dreadfully wrong. The truth is…there doesn’t seem to be much difference between “our teens” and “their teens.” Honestly, there sometimes isn’t much difference between “our adults” and “their adults.” That’s about to change. Join Todd as he talks about a very REAL Christian Worldview. Todd isn’t going to give you a list of dos and don’ts, but will challenge you right where you live. Together, we just might change the world. You’ll want to be here.